Identifying and highlighting suspicious investigations and events that may require further investigations. Enhancing the implementation of various policing methodologies to reduce over all crime and disorder. Providing tools and techniques to capture crime series and forecast future crime occurrences. Whether the problem is tactical, strategic or administrative any data containing location information can be displayed and analysed using Geographic Information System(GIS) technology. Every crime problem is related to some location, whether it’s an address, street, PIN Code or district. GIS can help you leverage the location aspect of your data to analyze, understand and build solutions to the problems you face. 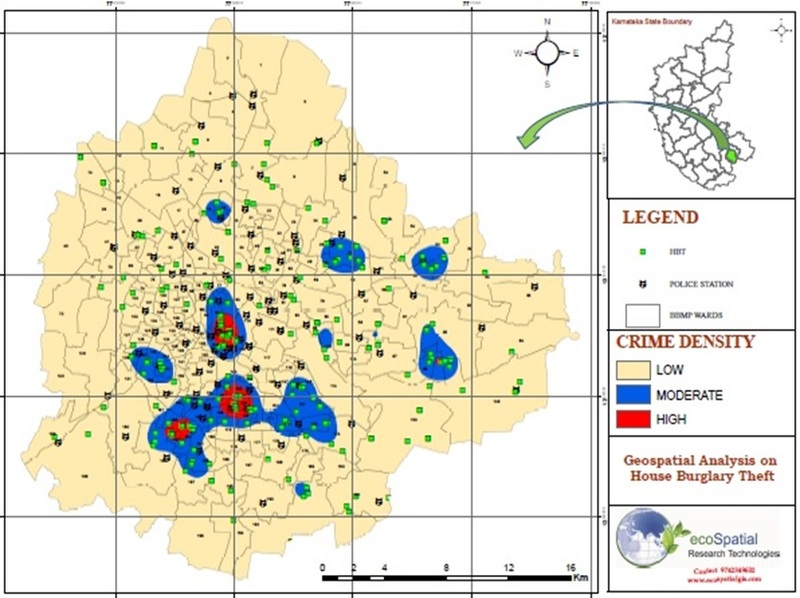 Get introduced to this intelligent method of locating serial criminals using geography. GIS identifies areas that contain dense cluster of events(hotspots). The high concentration areas usually demand special attention.